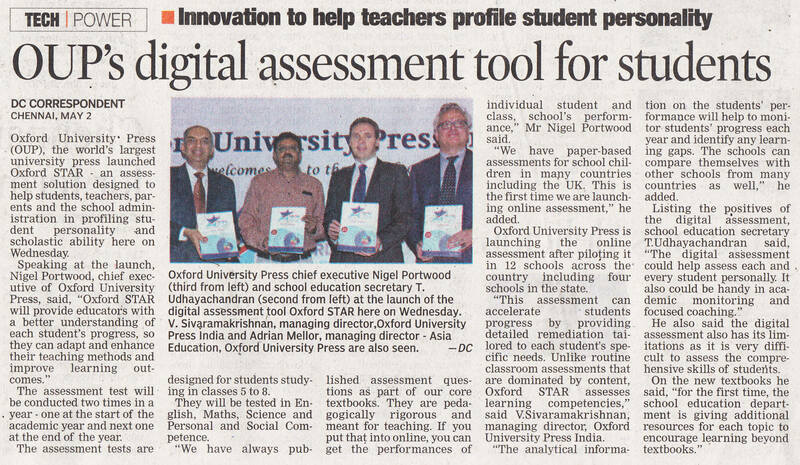 Oxford University Press has launched Oxford Advantage, an integrated learning solution, which would provide the schools with a comprehensive educational toolkit. 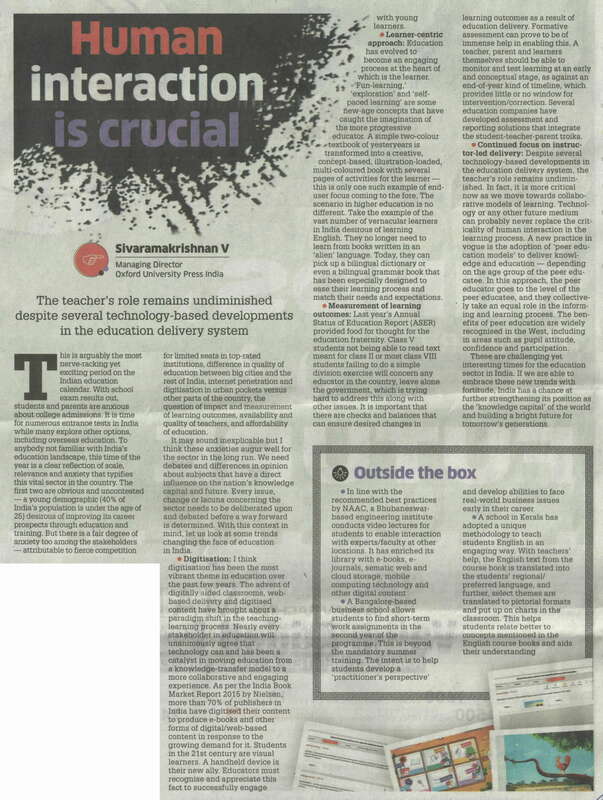 The annual budget has a lot of focus on skilling, new job creation and research-focused higher education which would help in new job creations both in manufacturing and service sector. The greater focus on training and entrepreneurship, especially in the rural sector, will help in faster economic revival and overall development. 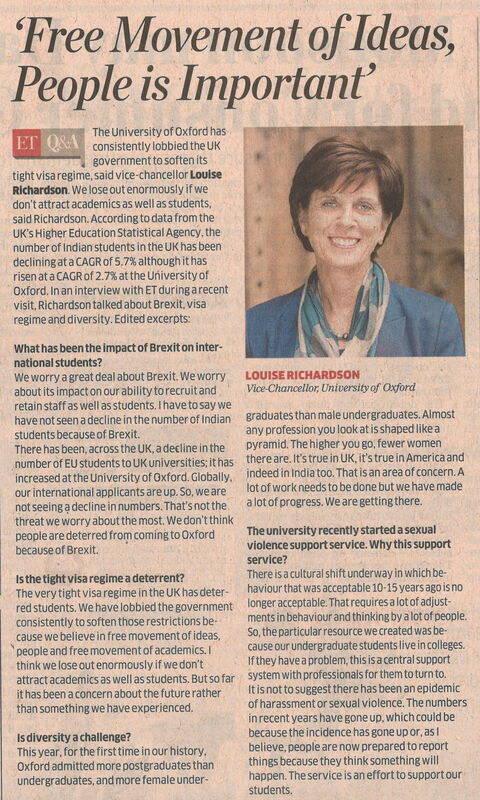 V Sivaramakrishnan, the managing director of Oxford University Press India said, "It is heartening to find education listed amongst the ‘Nine pillars’ identified by the FM for this year’s budget. 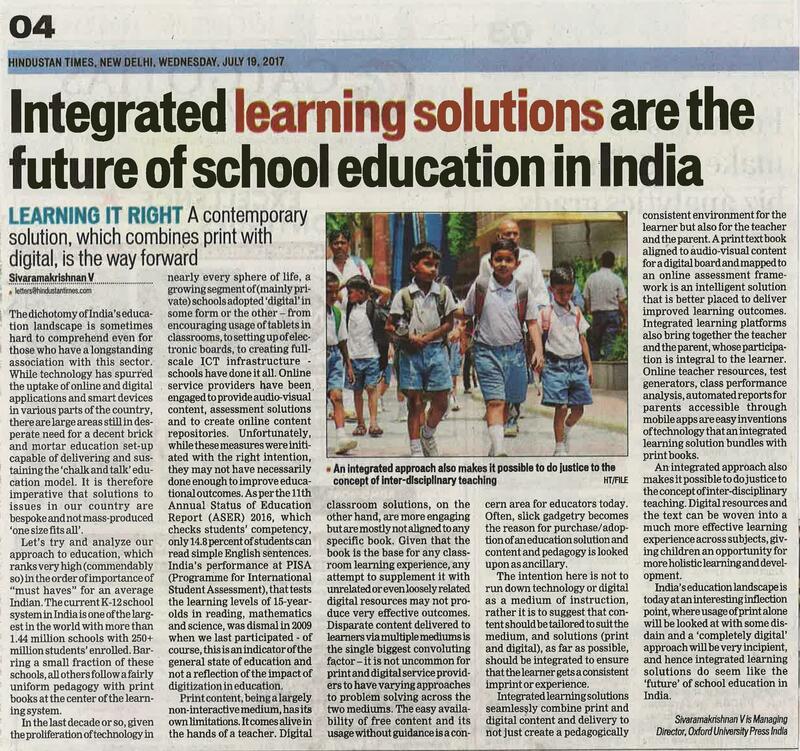 The specific to education announcements seem pragmatic and progressive – digital literacy for six crore rural households combined with the promise of 100% electrification will provide impetus to knowledge dissemination efforts in suburban parts of India. 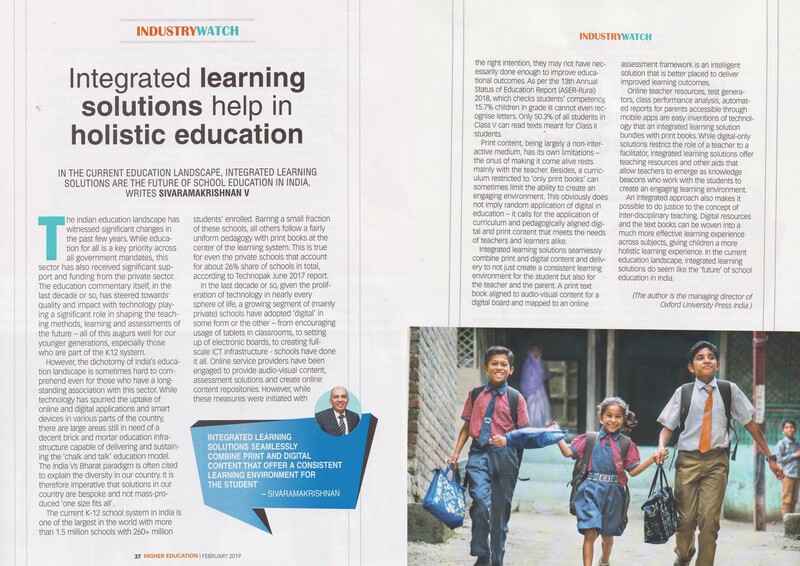 A large outlays for skill development will resonate with India’s youth seeking to improve their employability quotient." 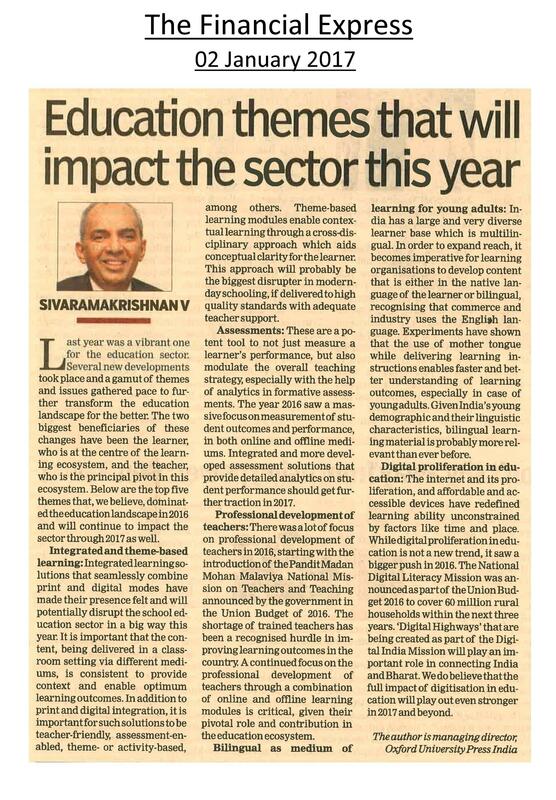 A contributory article by Sivaramakrishnan V, Managing Director, Oxford University Press India, on the pre-budget expectations of the education sector. 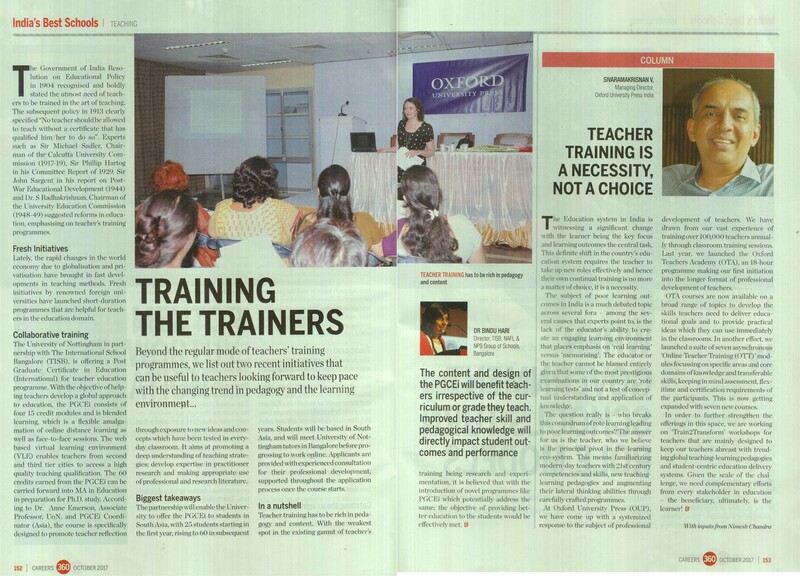 Oxford University Press organized a panel discussion on environment at World Book Fair. 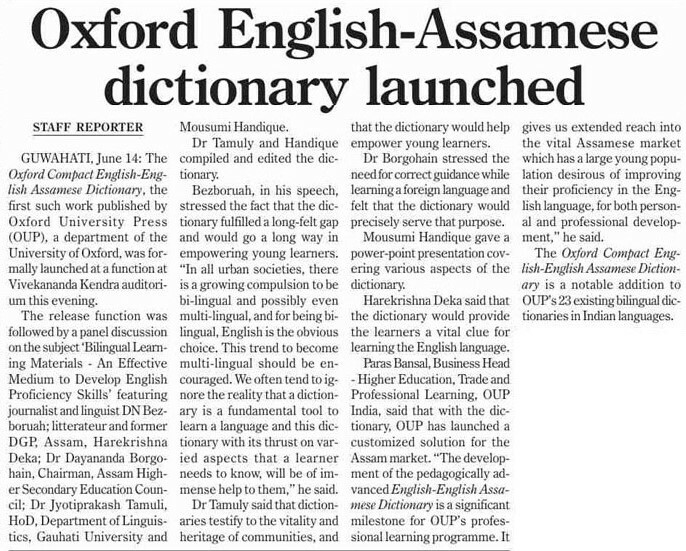 Comprising over 52,000 entries, 200 illustrations and a DVD, the English-English-Urdu dictionary will facilitate easy learning for bilingual learners..
As part of its expansion plans on the bilingual dictionaries front, Oxford University Press will soon launch an English-Urdu dictionary besides a mobile app for the English-Hindi version. 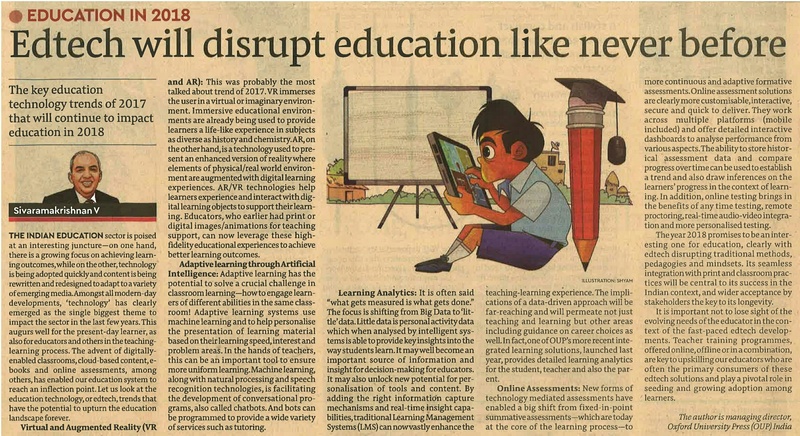 Oxford University Press is launching this year three major programmes, mostly for school children in India, by using the digital platform. 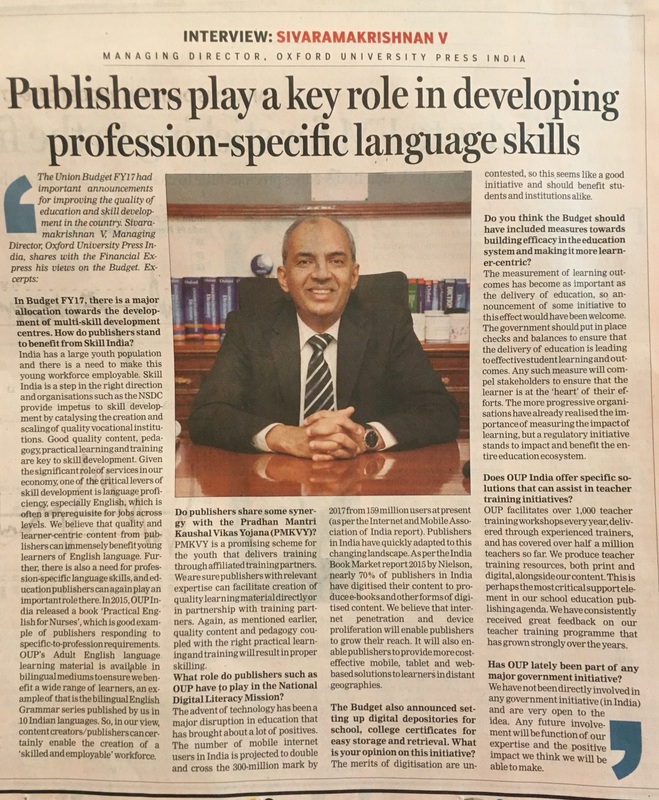 How is the Oxford University Press (OUP) India, with a legacy of 103 years in the country, reinventing itself within the changing publishing scenarios? 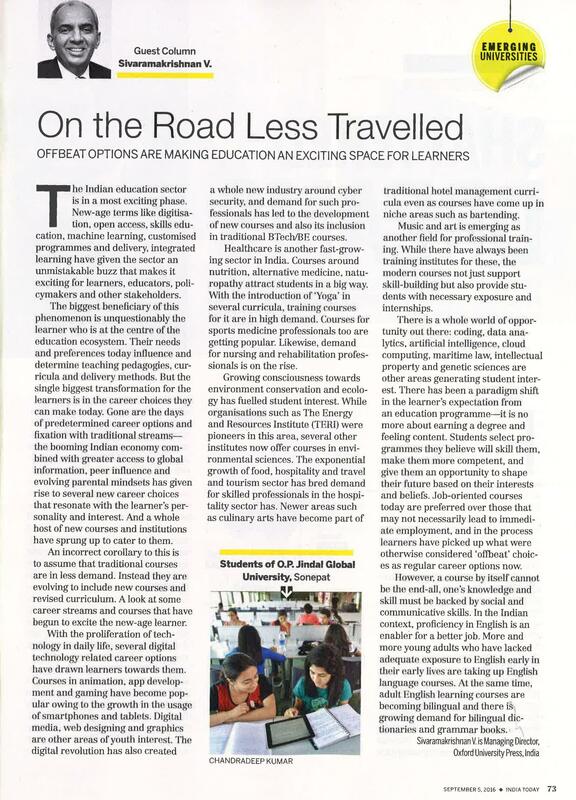 The answer is simple: By exploring new markets, such as adult ELT and assessments while embracing technology. The Federation of Publishers' & Booksellers' Association in India (FPBA) presented OUP India with the 'Diamond Award' in recognition of its distinguished services to the Indian books and publishing industry. Ranjan Kaul, Managing Director, OUP India collected the award on behalf of the Press on Wednesday, 24 December at the 60th Annual General Meeting of the FPBA held in New Delhi. The 'Diamond Award' is the highest category of award and is being given for the first time by the FPBA, the oldest and the largest association of publishers' and booksellers' in India. 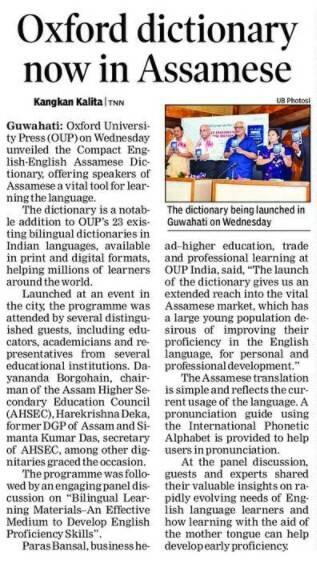 New Delhi, April 11: Three hundred international delegates will descend on Oxford next week (14 -16 April) to tackle illiteracy at home and abroad.